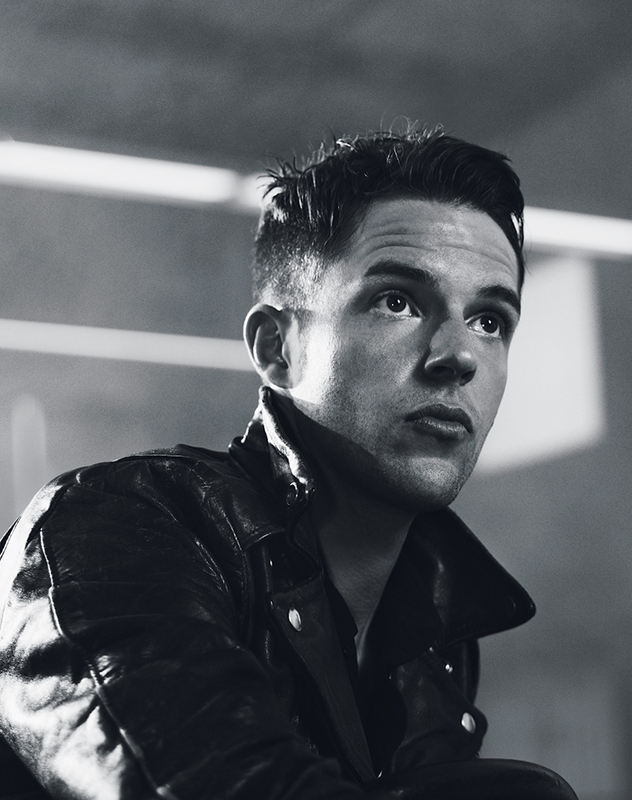 Brandon Flowers wants you to love him, though he’d probably never tell you in person. The thirty-one-year-old front man of The Killers — one of the most commercially successful rock bands of the past decade — is decidedly low-key, which makes his larger than life on-stage persona all the more impressive. Flowers has managed to breathe new life into the idea of preening, grandstanding showmanship in rock and roll, a concept that all but ended with Bono back in the 1980s. While so many of his peers are apparently eager to disappear behind a veil of irony and generalized vagueness, Flowers and his band strive for the opposite — epic, pop songwriting and stadium-sized gestures. Calling from backstage in Sheffield, England, Flowers is quick to own up to his own grandiose rock and roll goals. In 2012 The Killers released their fourth album, the aptly titled Battle Born. Like previous Killers records, the album is a collection of sprawling born-to-run narratives that would make Springsteen proud. In tracks like “Miss Atomic Bomb” and “Runaways,” Flowers channels the spirit of classic FM radio — crafting songs about bad boys and the good girls that love them; conjuring a nostalgic soundtrack for a romantic vision of America that only really exists in the movies and on classic rock radio. In this way, Flowers is actually a very old-fashioned kind of songwriter — like a more fashion savvy Dylan, he is primarily interested in telling stories. Despite the force of vision that has helped The Killers sell upwards of 15 million records — Flowers is re-markably modest when it comes to the trappings of rock stardom. When not on tour, Flowers still lives in the band’s hometown of Las Vegas — which he calls the “Jewel of the Mojave” — with his wife and three sons. An avowed Mormon with little love of the spotlight (when a giant stage isn’t involved), Flowers prefers to keep his private life mostly under wraps and to retain whatever sense of normalcy he can.